We live in a society that has come to be dominated by reason. We are encouraged to make the logical choice. We try to speak with political correctness. We judge through stereotypes first. We racially profile with laws like “Stop and Frisk” and Arizona’s SB1070. We do these things because they are reasonable, right? Friend to the blog, Kiese Laymon, makes a case for a different outlook on people and relationships in his article for ColorLines. In the article, Laymon thoughtfully and masterfully shows how we live in an unreasonable world cloaked in reasonable assumptions and conclusions. And what better case to elucidate his point than the murder of Trayvon Martin and the subsequent trial. The saddest part of all is that we have come to accept and expect this ruthless treatment. 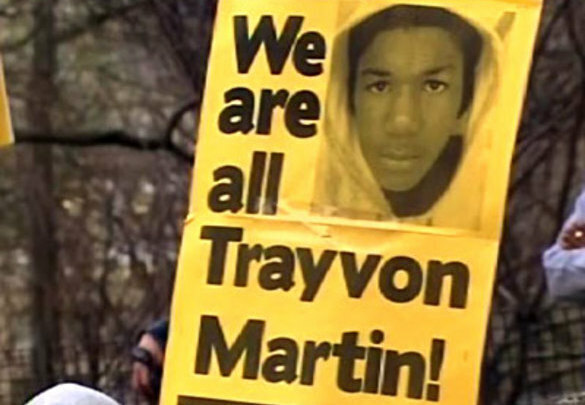 During the Trayvon Martin trial, I remember all of black America saying, “Zimmerman better get convicted or else …” This sentence was completed with actions ranging from “there will be rioting in the streets” to “I’m moving to Canada.” And we could say those things because we just knew he was going to get convicted. How could he not be? But he wasn’t. And we didn’t riot. And as far as I can tell, no one made that move to Canada. Why? Because as heart wrenching, infuriating, and unjust as the verdict seemed, it wasn’t even close to the first injustice we’ve received as a race. In fact, a conviction would have been an exception to the rule. This verdict was reasonable. Black America has been reasoned out of its entirety. We have been reasoned into pigeonholed stereotypes because those are easier to understand and the lazy among us can apply them effortlessly. We need to break the notions of reason that empower the majority to believe that black life, liberty, and happiness are unreasonable. Until we collectively shift the communal idea of what is reasonable and what is not, cases like Trayvon Martin’s will continue to be commonplace. Next story 2014 Golden Globes: Turn UP!